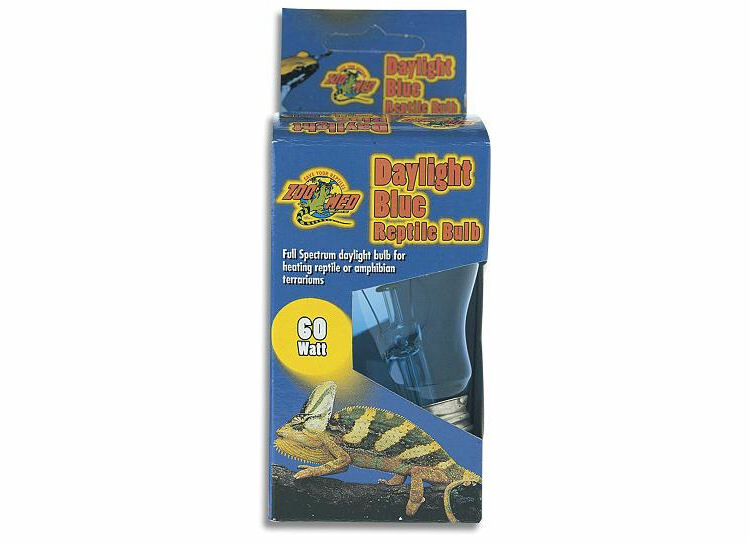 Zoo Med Daylight Blue Reptile Bulbs 100W | Livefood UK Ltd. True blue glass (not painted or coated) for better heat transfer. Can be used with Zoo Med's ReptiSun 5.0 fluorescent lamp for proper UVB exposure. E.S. (screw in not push and turn) fitting.